The National Weather Service in Mount Holly has issued a Winter Weather Advisory for freezing rain, sleet and snow. It is in effect from 600 PM this evening until 600 am Tuesday for freezing rain, sleet and snow. There is the potential for 2 to 5 inches of snow and one tenth to one quarter inch of ice. Rain and freezing rain is forecast to move into the region this evening or earlier. The precipitation is expected to transition to freezing rain, sleet and snow for late tonight into Monday before changing to all snow on Monday night. The ice and snow will make travel difficult in the region from Sunday night through Monday night. CURRENT WEATHER - At 4:00pm in Pen Argyl the temperature is 38. Wind chill is 37. The wind NE at 3mph. The humidity is 82% and the barometer reads 29.84 and falling. Skies will remain cloudy. Some rain showers may move into the area soon..
Wind Gap a Trail Town? This year Bangor Area High School Theater Department headed by Mr. Joseph “Butch” DiMinico is performing Hairspray as their Spring Musical for the Freddy Awards. Mr. DiMinico returned to Bangor last year as the Director of Suessical and has since come on board full time at Bangor Area High School as a teacher and musical Director. Mr. DiMinico feels like he is back at home and enjoys how the community and families involved support the theater and music programs at the Bangor Area School District. 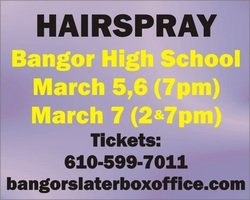 Hairspray is not only an upbeat musical with lots of dancing, but is also teaching the students in the theater department at Bangor about the history created during the 1960's. In the musical Hairspray, Tracy Turnblad obsesses over the The Corny Collins Show and Link Larkin, a dancer on the show. Eventually Corny Collins gives Tracy a chance to be on his show. Once on the show, Tracy uses her new found stardom to advocate for racial integration on the show. Through trials and tribulation, Tracy is able to succeed in her mission and the show becomes integrated. To give the community a preview of the show, a pancake breakfast fundraiser was held on yesterday at the Bangor Area Middle School.With a packed house for breakfast, the students performed several of the songs in costume for their breakfast audience. Items, books and pictures from the 60's era were on display to incorporate the historical importance of the 60's era. In addition, the students taught dance lessons on how to do 60's era dances. The audience was up dancing to the Twist and doing the Mashed Potato. The Pancake Breakfast Committee which consists of Sue Bina, Joyce Steinert, Jennifer Newland and Cherrie Sortore all felt the event was even more successful than last year and loved to see all ages up dancing to the 60's music . The Pancake Breakfast Committee would like to thank the Bangor Area School District for their support of the theater department, all the volunteers who helped cook and serve today, all who donated items for the pancake breakfast and for raffle prizes, Bangor Area Middle School for hosting the event today, and all who attended to support the musical. Dane DiFebo - 240th Anniverary of Trinity UCC, 2:00pm. Slate Belt Heritage Center. Don't shop, adopt! Camp Papillon will hold an Meet & Greet/Adoption Day from 11 am to 2:30 PM on Sunday, February 8 at Tractor Supply, Route 209, Brodheadsville. Come and meet the dogs, cats and critters that Camp Papillon has for adoption! Dine for her is a monthly event running in the Slate Belt and surrounding areas in conjunction with participating restaurants. These restaurants have pledged to help keep funds local by partnering with our chapter. 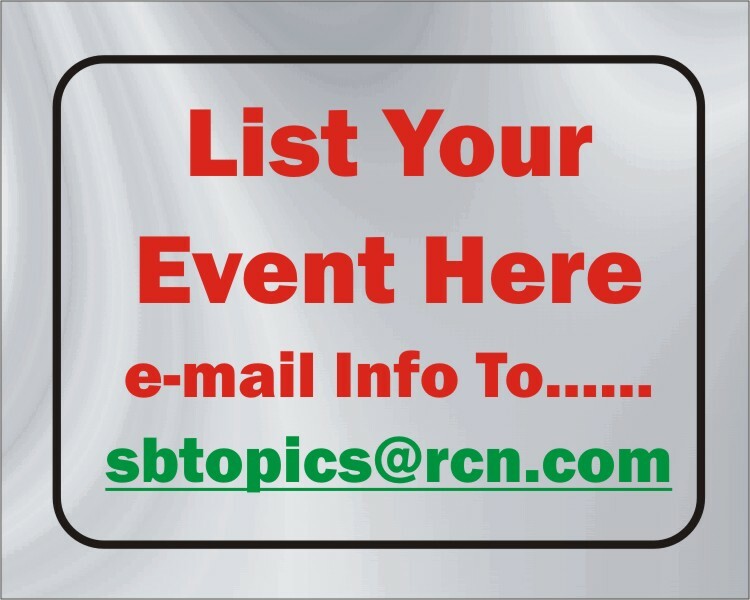 Every month a new opportunity will be posted and sent out via social media. Follow the restaurants requirements and a portion of the sales will be donated to Pink Heals PA to be used here in your community. We help support local business and local business in turn helps the community. It’s a win win situation for all. So next time you plan to go out dinner (or take out in some cases) check out which restaurant is hosting our DINE FOR HER event. Also if you want to suggest a restaurant send us a message. Coleman and Elizabeth Carter are the proud parents of two young boys, and Coleman has a promising career as a trial lawyer in Virginia. Everything seems to be moving along okay until Elizabeth announces that she wishes to adopt a baby girl, a Korean orphan. Having come from Charleston, S. C., Coleman has to convince not only himself but also his parents that this is the right thing to do. While they are in Virginia and later when they move back to Charleston, Coleman begins to see and understand all the nuances of racism. We follow the family from the birth of Allie up until she graduates from high school. The characters in this story all tell “their story” including the birth mother and the nurse at the orphanage. This tale will tug at all your emotions and keep you riveted until the end. The Slate Belt Heritage Center will hold their monthly historic presentation on Sunday, February 8th @ 2:00 PM. Speaker for the afternoon will be local historian, Dane DiFebo whose topic will be: The 240th Anniversary of Trinity United Church of Christ. Mr. DiFebo will relate the churches' German roots along with the history of the church made of 1,000,000 bricks, all fired by a local farmer. The event is free and open to the public. The Heritage Center is located at 30 North 1st Street, Bangor, PA. For additional information contact: Karen Brewer @ 610-588-8615. (BPT) - Your spouse’s voice, the traffic signals, your favorite TV show – you probably don’t think about your sense of hearing often, but without the ears’ ability to collect and translate invisible sound waves, many important things would go unheard. Unfortunately, missing out is a reality for 98 million Americans who experience some degree of hearing difficulty. The ability to hear is directly related to one’s quality of life. Nearly half of online U.S. adults have some hearing problems, reports the Consumer Electronics Association (CEA), and many choose not to seek medical advice regarding their condition and ignore possibilities for correcting the problem. In fact, according to the CEA study “Personal Sound Amplification Products: A Study of Consumer Attitudes and Behavior,” 24 percent of people reported a device was cost prohibitive and 18 percent did not want a hearing aid. Hearing problems can occur at any age and are often exacerbated by being in noisy places like restaurants or trying to hear things that are at a distance. If you feel you have been missing out on listening to the world around you, there’s no reason to delay taking action – a solution may be simpler than you think. If you strain to hear in certain situations, you have two primary options: a hearing aid or personal sound amplification products (PSAPs). Hearing aids cater to a small group within those 98 million who have moderate to severe hearing impairments. To get a hearing aid, a trained professional will test the levels of hearing difficulty, determine the right solution, and fit the person for a device. While they can be an effective solution, hearing aids are costly and many people want to avoid the negative associations with wearing one. Hearing aids are the best option for those with persistent hearing loss, but there are many others who struggle with hearing in everyday situations like talking in a loud restaurant, watching TV or attending business meetings. People in these situations would be good candidates for alternative solutions that do not require medical intervention. Personal sound amplification products are a hearing-assistance alternative that is quickly gaining popularity. PSAPs work by using technology to augment a person’s ability to hear. One example is Soundhawk, a system that includes a lightweight earpiece called the Scoop that features dual-microphones to elevate desired sounds while minimizing disruptive background noise. For really noisy situations, Soundhawk also includes a small wireless microphone that picks up sound at its source and delivers it to the Scoop in your ear up to 33 feet away – making it easy to hear the TV and have conversations in a loud restaurants. The system can be customized for each user with a simple mobile app on your smartphone or tablet. Personal sound-amplification products can be ordered and used without medical intervention, plus they are more affordable; this makes them a good option for people that experience situational hearing problems. While a hearing aid can cost $2,000 or more, PSAPs typically range between $100 and $600 – much more in line with what people with lower-level hearing problems are willing to invest. Visit www.soundhawk.com to learn more. Hearing the world around you is too valuable of an experience to miss. Now, thanks to new hearing-assistance alternatives, nobody is stuck with the stigma or cost of traditional solutions. Learn more today about what options are best for your needs. A video of a sheep that has turned nature on its head by thinking its a dog is proving a viral hit online. More than 310,000 people have watched the clip of 10-month-old Pet bounding around with three border collies. Owner Mairi McKenzie, who farms in the Scottish Highlands, says Pet's unusual nature is a result of being brought up with the sheep dogs. The lamb was brought inside the farmhouse last year by owner Mairi McKenzie after it was feared she would not survive due to her small size. The farm dogs took her under their wing, and now she replicates their bouncy mannerisms. Pet and her canine adoptive parents are so fond of each other they even sleep in the same baskets. Ms McKenzie, 51, said: "She's a right character. I've never seen anything like this before - it's really unusual. "She bonded with the dogs and they accepted her as one of them. She's still a wee bit wobbly but loves to hop, skip and jump around." It is time for the Pen Argyl High School Alumni Association to select the 2015 Inductees to the Academic Wall of Fame. This honor is bestowed on a select number of graduates or past district educators each year who have distinguished themselves through community service, academic accomplishments, as well as, advancements in their chosen profession. The creation of this distinction was to set an example of what is possible for all present and future Pen Argyl students! This honor is different from the PAHS Athletic Hall of Fame where chosen Alumni are honored for their athletic contributions while at Pen Argyl High School. Anyone can nominate a PAHS graduate for the Academic Wall of Fame honor. Our Academic Wall of Fame Inductees have made a meaningful contribution to the world around them, and the Pen Argyl Alumni Association is proud to bestow this honor. To nominate a graduate, please contact Jim or Heather Hunter at 610-863-9443 or send an e-mail to shorething@rcn.com The deadline for nominations is February 20, 2015. An open house will be held at Chocolates on Broadway and China Wok on Broadway in Bangor from noon to 2:00pm Tuesday, February 10. This is free and open to the public and is part of Bangor's 140th anniversary celebration. Local historian Donald Jones will be on hand to offer information about the history of the Bangor business block. Northampton Community College will sponsor a free screening and panel discussion of “Fed Up” at Frank Banko Alehouse Cinemas on Monday, February 11, at 7:15 p.m.
“Fed Up” is a 2014 documentary film that focuses on the causes of obesity in the U.S., presenting evidence showing that the large quantities of sugar in processed foods are an overlooked root of the problem, and points to lobbying by “Big Sugar” blocking attempts to enact effective policies to address the issue. A panel discussion held after the screening includes Eric J. Ruth and Meagan L. Grega, M.D., Kellyn Foundation; Jon Soden, Bethlehem Food Co-op; Lynn Trizna, Rodale Farm Project Manager, St. Luke’s University Health Network; and Kelly Allen, associate professor of English at NCC. The screening is free and open to the public, but tickets must be reserved by calling the ArtsQuest Box Office at 610-332-3378. Exploration of this year’s theme is made possible by an endowment for the humanities established through a grant from the National Endowment for the Humanities and generous donors. Community Partners include the Bethlehem Area Public Library, Eastern Monroe Public Library, Bethlehem Area School District, Stroudsburg Area School District, Historic Bethlehem Museums & Sites, and Monroe County Historical Association. February is American Heart Month, and Northampton Community College’s Center for Business & Industry is offering American Heart Association Heartsaver classes! Sadly, less than 8% of people who suffer cardiac arrest outside of a hospital survive. Effective bystander CPR, provided immediately after sudden cardiac arrest, can double or triple a victim’s chance of survival. On Thursday, February 12, AHA Heartsaver CPR AED training will be offered from 8 a.m.-noon. AHA Heartsaver First Aid will be offered from 1-5 p.m. Cost for either of the classes is $60. 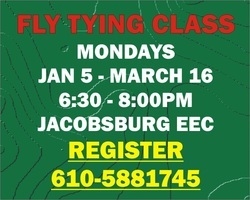 The classes will be held at the Fowler Family Southside Center, 511 E. Third St., Bethlehem. To register, visit www.northampton.edu/lifelearn. 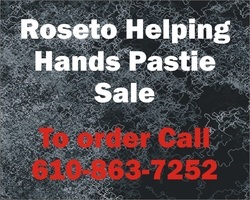 For questions, or for on-site delivery (10 or more employees), call 610-332-6585. February 13th 6:30 -8:00 p.m.
Bring your family along to Jacobsburg Environmental Education Center for a craft activity and movie night! This month we’ll be screening “Beavers: The Biggest Dam Movie You Ever Saw.” Craft time starts at 6:30 p.m. and the movie starts promptly at 7:00 p.m. Please register as supplies and seating are limited. To register, contact the center at jacobsburgsp@pa.gov or 610-746-2801..
Valentine’s Day is a day of love. For those who LOVE to run, on Saturday, February 14, people across the country will participate in the seventh annual Cupid’s Chase 5K run, presented by Community Options, Inc.
Community Options is a national nonprofit organization that provides housing and employment support to people with disabilities. Every year, Community Options holds their annual 5K to raise money for the people they support, with all proceeds from the race going directly towards supporting people with disabilities in their local communities. Last year, Community Options raised over $200,000 nationwide. This year’s 5K will take place in 27 cities from New York to Arizona. Community Options will host four new race locations this year, one of them being in Trexlertown, PA.[Marker] The race will take place at the Bob Rodale Cycling and Fitness Park at 1151 Mosser Road. Registration begins at 8 a.m. and the race will commence at 10 a.m. Participants will receive an “Available” or “Unavailable” shirt to wear for the race in hopes of sparking a love connection. A photo essay and other images by Betty Beaumont will be exhibited at Northampton Community College (NCC) from Monday, February 16 through Saturday, March 21, in the gallery of Communications Hall, Main Campus, 3835 Green Pond Road, Bethlehem Township. An opening reception will be held on Thursday, March 5, from 4:00 to 6:00 p.m. in the gallery. The exhibition, Million-Woman March, includes a selection of images taken during the 1992 March for Reproductive Rights in Washington, D.C. At this time, the U.S. Supreme Court was considering a law to curtail reproductive freedom. The exhibition focuses on march participants from the Women’s Action Coalition, a group of women from the New York art world. Beaumont earned a master’s degree from the University of California (UCLA) at Berkeley and has held academic appointments at Columbia University, UCLA Berkeley, SUNY (State University of New York) at Purchase, and New York University. Her work has been on exhibit at the Whitney Museum and the Metropolitan Museum of Art, and many other venues in the United States and around the world. She works in a variety of media including photography, installations, public interventions (a form of performance art which invites public interaction or alters existing art works), and new media. Her work challenges global social awareness as well as socioeconomic and ecological practices. Beaumont’s work has been reviewed by notable art historians and critics such as Nancy Princenthal and Jeffrey Kastner. The artist has received awards from the National Endowment for the Humanities, the University of California at Berkeley and the Creative Capital Foundation, among others. The exhibited is sponsored by the New Arts Organization located in Kutztown, Pennsylvania. NCC and New Arts have been collaborating on annual exhibits for over 25 years. The gallery in Communications Hall is open Monday through Thursday, 8:00 a.m. – 10:00 p.m. and on Fridays and Saturdays, 8:00 a.m. – 5:00 p.m. and closed in Sundays. 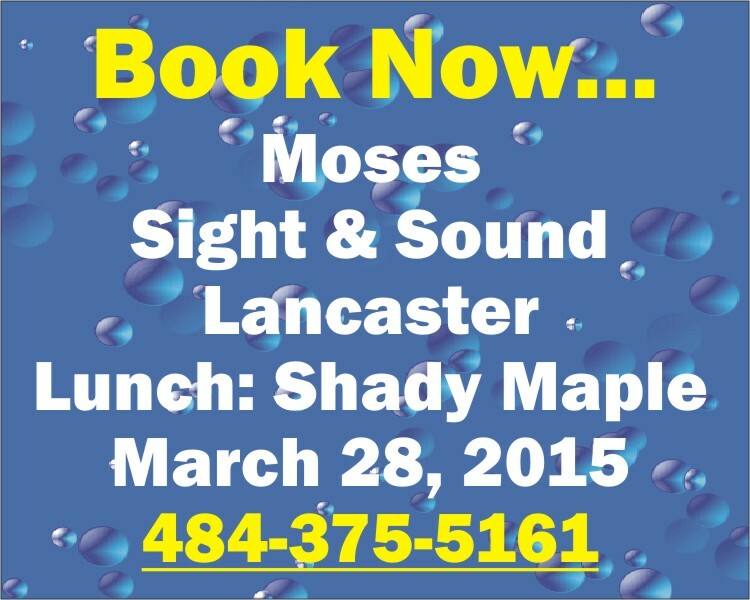 For more information call 610-861-5062. Come to Cherry's Sunset Restaurant, Route 209, Kresgeville at 6:30 PM on Tuesday, February 17 for a bite to eat and meet the volunteers of Safe Haven Dog Rescue. A Donut Sale will be held at Christ Evangelical Lutheran Church, 703 S. Delaware Dr. (Route 611), Mt. Bethel (Stone Church) on Tuesday, February 17th. These delicious homemade donuts are available powdered or plain. Donuts should be picked up by 1 pm. The cost is $6.00 per dozen. Orders are recommended and can be placed until February 14th. To place your order or for additional information call Blanche at 570-897-6612 or Chrissy at 610-588-0809. A Fundraiser for The Blue Mountain Community Library will be held on Thursday, February 19, from 11:00 am to 7:00 pm at the Café on Broadway, 21 S. Broadway in Wind Gap, PA. The Café will generously donate a portion of all sales that day to the library. All food is fresh and made to order. You are encouraged to call ahead with your order. Specials are listed on the restaurant’s Facebook page. The Café is take-out or eat-in, with limited seating. The phone # is 610-881-4261. Menus are available at the Café or at the library. Your support of this fundraiser to benefit the library will be greatly appreciated. The Blue Mountain Community Library is currently collecting non-perishable foods for the Salvation Army Food Bank in Pen Argyl, through March 15th. Please consider donating to this ministry and bring your food items to the library, located at 216 S. Robinson Ave., Pen Argyl, PA. Hours are M-Sa, 10:00 am- Noon, and M-Th, 6:00-8:00 pm. Call Lisa at 610-863-3029 for information or visit www.bmcl.org. Saturday, February 21st 8:00 a.m. - 4:00 p.m. The upper Delaware River is one of the best places in the east to observe wintering Bald Eagles. Join us for this trip as we venture up along the river in the scenic Delaware Water Gap National Recreation Area from Arrow Island to Milford in search of these magnificent birds. Golden Eagles have also been observed on these trips in the past as well as a variety of waterfowl including Common Mergansers, Buffleheads, and Common Goldeneyes. This is a great opportunity for photographers. Participants should dress for the weather and bring binoculars and a lunch. There will be a stop for snacks and hot beverages along the way. Limited van transportation is available for first time participants. To register, contact the center at jacobsburgsp@pa.gov or 610-746-2801. A pancake breakfast will be held at Grace United Methodist Church on Mountain Avenue in Pen Argyl to benefit Boy Scout Troop 34 on Saturday February 21 from 8-11. The cost is $8.00 for adults, $5.00 for children and under five eats free. Your ticket also enters your into a prize drawing. On Sunday, February 22, come to Tractor Supply, Route 209, Brodheadsville from 11- 2, to meet some of the beautiful loving dogs that Boomer's Angels have for adoption! Boomer’s Angels Animal Rescue & Care is a new group in Northeastern Poconos that was formed to give as many homeless and downtrodden dogs, cats, bunnies and critters.the brightest future possible. Boomer's Angels rescues and rehomes dogs, cats and critters. Be an Angel for a homeless pet. Cost to participate in the auctions is $5:00. Cost to bring one item for appraisal and participate in the auctions: is $10. Cost to bring two items for appraisal and participate in the auctions is $15:00. All money raised benefits the library. Tickets just to attend are available in advance at the library and will also be available at the door on the night of the event. Ansay, A. Manette: Vinegar Hill; Gabaldon, Diana: Lord John and the brotherhood of the blade; Lord John and the private matter; Mones, Nicole: A cup of light. Codell, Esme Raji: Educating Esme; Taylor, Troy: Spirits of the Civil War. Bosch, Pseudonymous: You have to stop this. Coben, Harlan: Play dead, Miracle cure; Follett, Ken: Eye of the needle; Hunter, Stephen: The 47th samurai, Night of thunder.